The purchase of an office tower or professional building is a large endeavour that can make for a great investment opportunity and a continual, growing income source. Office, professional and medical centres generally only appreciate in value, and can provide sound, reliable revenue. There are, however, several items you, or your business, should consider to ensure the building in which you are applying to secure a mortgage on to purchase is a viable investment. Down payment: Office building mortgages generally call for a 25 per cent down payment. Consider how you will provide this. 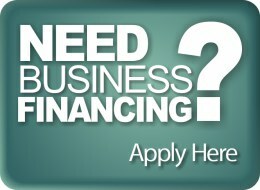 Common options include refinancing another property owned or seeking investors. Revenue: Properties need to generate approximately $1.30 of income for every $1.00 of debt they accumulate to be viable. Examine the building's projected earnings and past records thoroughly. Repairs and Building Maintenance: Ensure the building is appraised and inspected by reputable professionals. Incorporate any repairs or renovations that need to be completed into your budget, as well as long-term property and parking lot maintenance, landscaping, insurance and property tax. Vacancy: Finding long-term tenants to lease professional space can be more difficult than finding residential renters. Ensure the current occupants of your prospective building purchase can sustain the building's income, and determine if the building you intend to purchase has more vacant units than other buildings in the area, or if the entire area has a higher than average rate of vacancy than other sections of the city or town site in which it's located. Administration: Do you or your company possess the faculty to take on the added tasks of administering units, tending to tenant inquiries and property upkeeps, or will you need to hire additional staff? Another item to consider in your budget. Present rent roll – Includes unit information, lease abstracts and tenant descriptions. Income and expense statement – Includes annual property tax, insurance, utilities, water, management plan, maintenance and repairs. Detailed physical description, survey and appraisal of the property. Contract of sale, if property is an acquisition. Current financing summary, if property is being purchased with a refinance of another mortgage. Details on any intended or present management company. The purchase of an office or professional building may feel, at times, overwhelming. 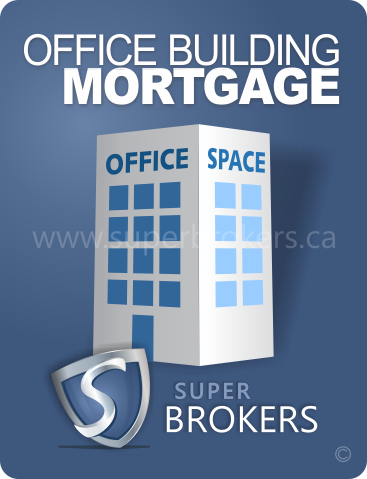 Utilize the expertise of Super Brokers Mortgage to ensure the financing you attain to fund your venture is optimal.